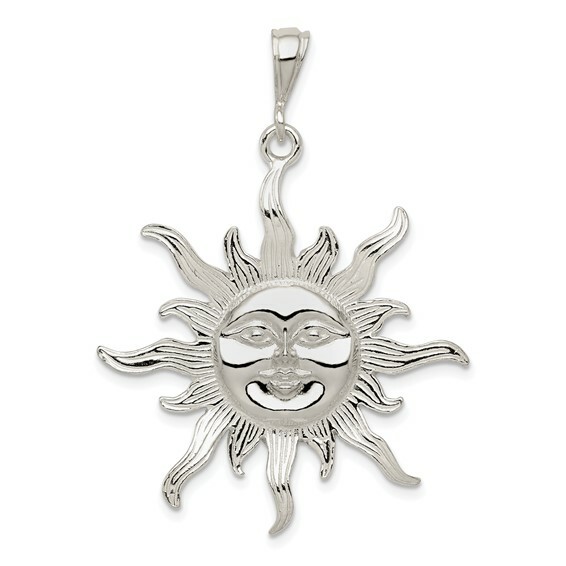 Sterling Silver Sun Pendant. Weight: 4.59 grams. Measures 1 1/4 inch tall by 1 1/4 inch wide without bail. Bail size: 6.5mm x 4.5mm.